This Apex Cream Gloss kitchen embraces cool marble floors and fresh, white cabinets, but what really brings it to life are the deep, rich wine coloured walls and red chairs. The contrast between bold and neutral means this kitchen remains just as homely as it does contemporary. 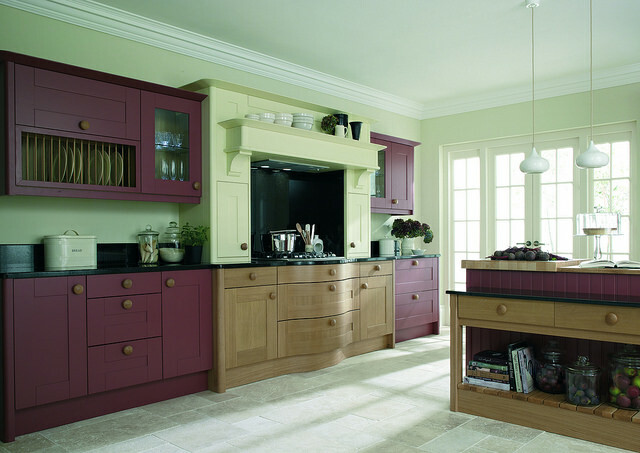 The Broadoak Cranberry kitchen is another great example of how you can use rich, intense shades to make a kitchen pop. The cream and wood cupboards create a perfectly welcoming atmosphere, but the dark purple adds a greater sense of warmth without compromising on class. 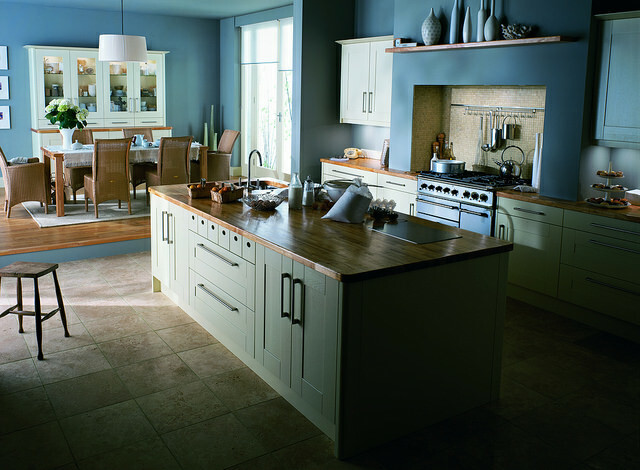 This Broadoak Ivory kitchen is paired with a beautiful blue backdrop to create a classic and traditional feel. This shade of blue is great for those who don’t want a colour that is too light or too dark, but still want something that will add an element of depth to their kitchen. 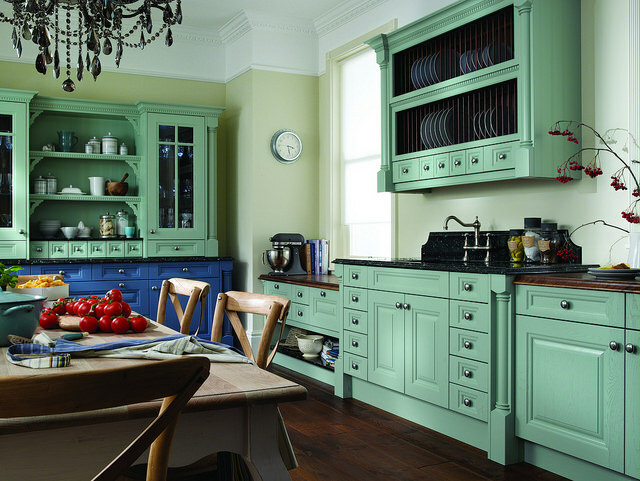 The Cornell Blue kitchen is perfect for those who are looking for a brightening boost and this shade of blue provides a retro touch to a traditional kitchen. Pastel inspired colours can also provide a soothing effect for the family home. 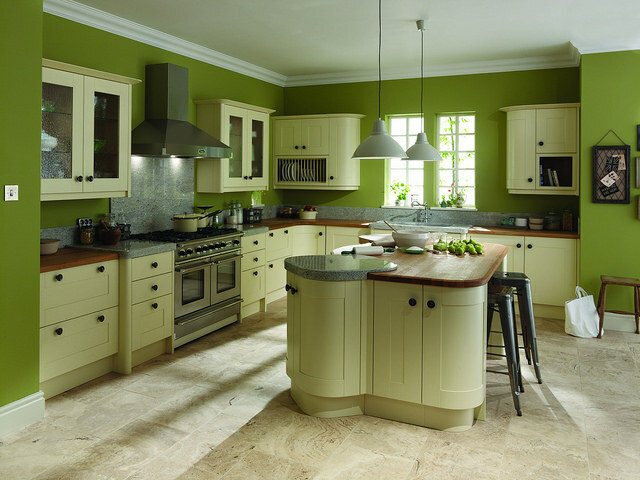 This Broadoak Ivory kitchen also complements a kitchen with a leafy green setting. Although green seems like a natural tone, the ivory cabinets against this backdrop manage to create a sense of vibrancy that is as comforting as it is colourful. This Ivory kitchen is a great example of how pastel walls and accessories can create a colourful yet calming kitchen. Pastel shades are often associated with more extravagant designs despite their delicate tones. 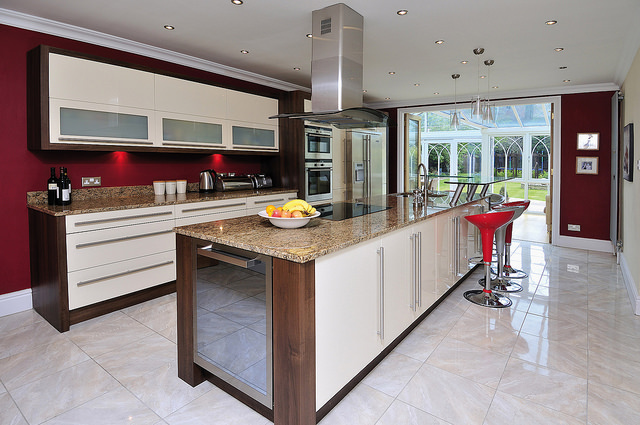 When incorporated into a fresh, ivory kitchen you can see how it transforms a kitchen from bland to bold. 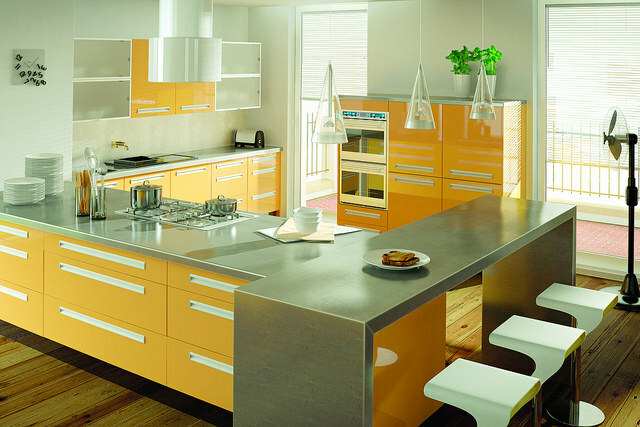 The Ultra Gloss Saffron colourful kitchen shows how splashes of summery shades that complement natural lighting can inject vitality into your home. Mixed with metallic worktops and wooden floors, the saffron cabinets add freshness and warmth to complete a colourful and seasonal kitchen design. 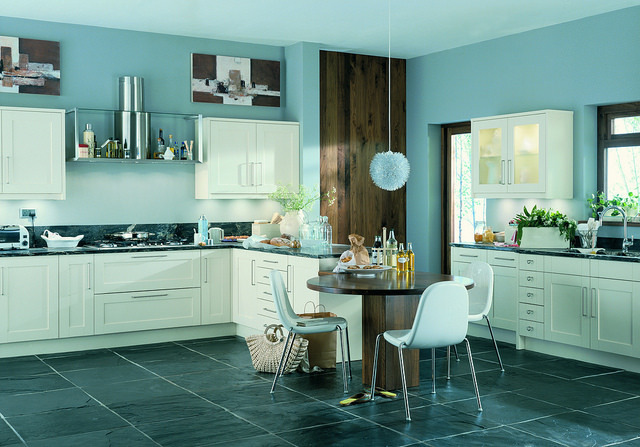 This Black Contemporary kitchen might not be typically colourful but it is undoubtedly a bold and daring design. 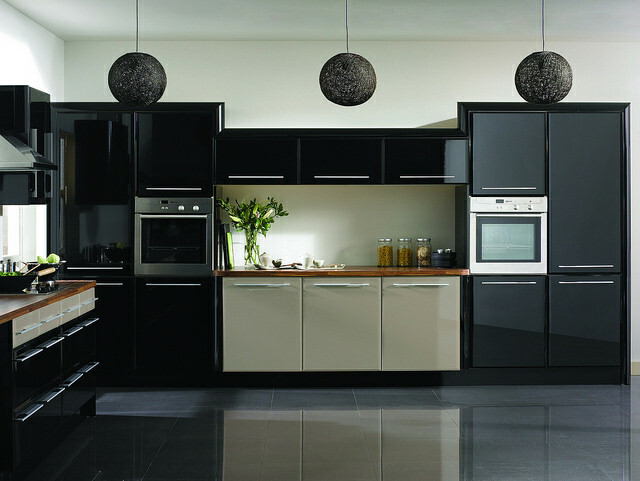 Another one for those who favour a modern kitchen, the black gloss cabinets evoke a sense of luxury and mystery. Black can be paired with various shades and the incorporation of the taupe cabinets and drawers here create a harmonising effect that is both bold and incredibly sleek.